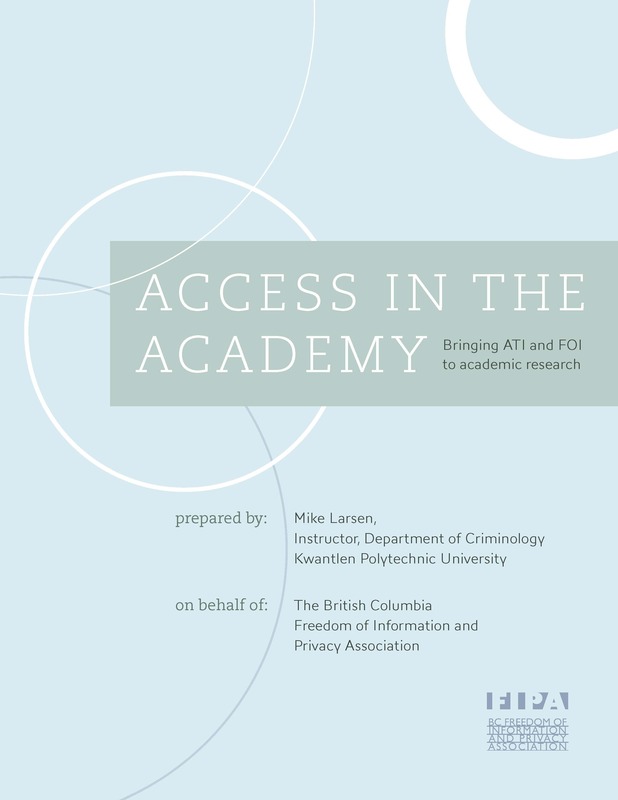 Over the summer of 2013, I had the privilege of working with the BC Freedom of Information and Privacy Association on an exciting project – the preparation of an access to information guide for Canadian academics. The text, Access in the Academy, provides a detailed introduction to access to information and freedom of information mechanisms. It is geared towards academic researchers interested adding ATI/FOI methods to their research ‘tool boxes’. The book is available for download as a PDF from the FIPA website.